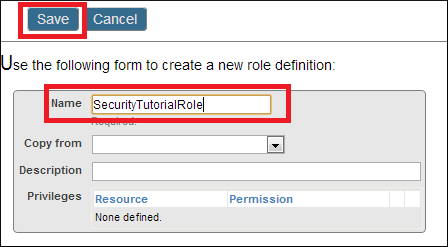 In the Management Portal, open the Roles page (click [Home] > [System Administration] > [Security] > [Roles]). Click Create New Role. 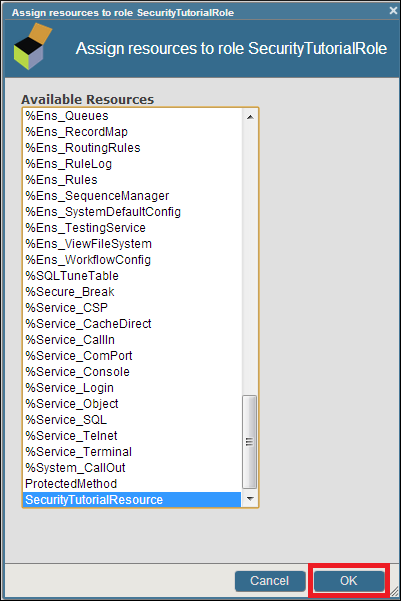 Click Add to add privileges (resource plus permissions) to the role. Click on the name of a resource. Then click OK.
Click Edit to change the permissions on the resource. Click Add to add another resource to the role. Click Save to finish editing the role. To learn more about roles, read Roles in the Caché Security Administration Guide.